When was the last time you saw a Marvel promo poster that didn't feature Wolverine? Instead of The Thing and Storm, we have Iron Fist and Ant-man. The inclusion of the Ant-man, Guardian's of the Galaxy characters and Iron Fist is clearly meant to work with their upcoming movies and Netflix show, but some others are a bit harder to explain. 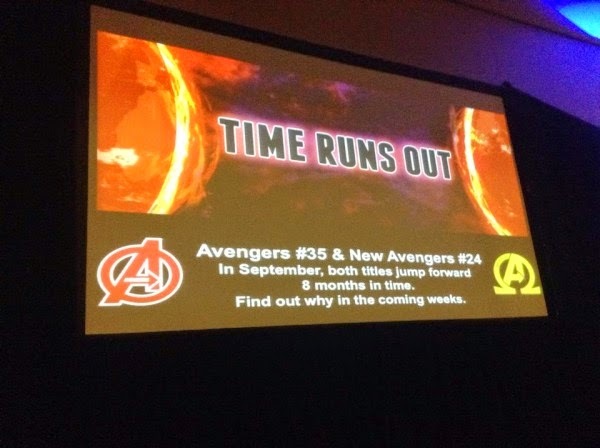 (Black Bolt, Ms. Marvel, Nova) --- unless there are upcoming movies for those properties. I think I have heard some mention of an Inhumans movie. Still, outside of the conspiratorial Hollywood games, is it reasonable to think Marvel might cancel (or at least bench) The Fantastic Four for a while? I think so. Hickman's run was the most successful in recent years, but even it lost its momentum towards the end. And Marvel ultimately decided Hickman was too valuable a writer to waste on FF, so they put him on pretty much Avenger title they could think of. 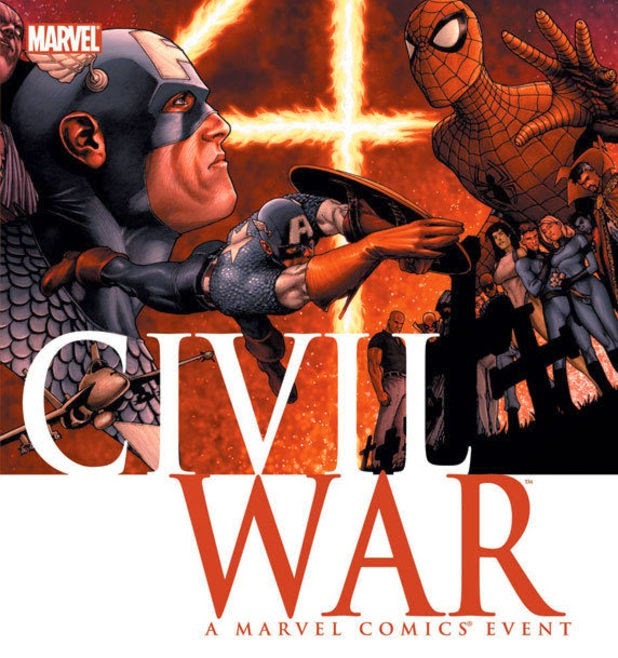 Now, in the past, it would have been unthinkable for Marvel to not publish (what many consider) to be their flagship (spiritually, if not financially) title. However, Disney doesn't really care about that. 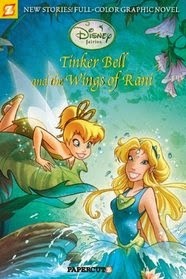 As I've said several times before, Disney doesn't concern itself with printing its own comics. It licenses many of its successful brands (Donald Duck, The Fairies of Pixie Hollow, The Disney Princesses...) to other publishers. With Marvel things are different. 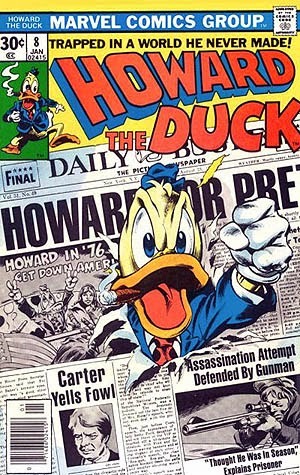 I suspect Disney takes more objective (harsher) look at failing comic titles than past Marvel Editorial regimes. I could easily see the combo of no money from movies or merchandising and poor selling comics could definitely resulting in at least a temporary hiatus. Days Of Future Past Movie Review by Special Guest: Stevie B! Editor's Note: Today's post is from my friend Stevie B! One of the hosts of Nerds of the Apocalypse podcasts (as well as several other podcasts to which you will find links below.) As I've been unable to see Days of Future Past this weekend, I asked Stevie B to help me out with a review of the movie. My first blog post! Go easy on me! Jim and I decided the best thing to do would be for me to tackle an X-Men: Days of Future past review. I was trying to decide the best way to go about it and I came to the conclusion that it would be best to just do an open forum with some key points and then a final thought. So here I go! X-Men: DOFP, in my eyes, was Fox’s attempt to put right what once went wrong. They, mostly, succeeded with this. First, let’s talk story. 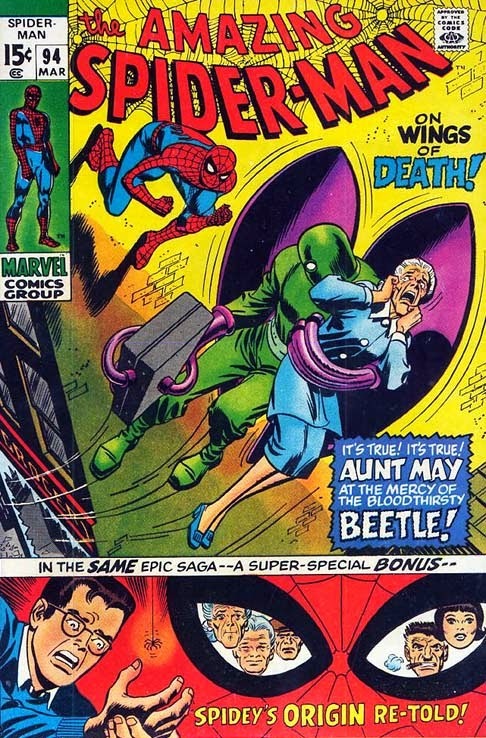 It had its differences with the classic Claremont and Byrne story, but still kept the fundamental points. There’s a desolate future where only a few X-Men are left and on the run from Sentinels. Some we’ve seen, some we haven’t. Blink, honestly, stole the show for me in the future sequences. I’ll get to her more in a moment. Mystique murders Bolivar Trask alone instead of Senator Kelly with The Brotherhood of Mutants. Apparently, the newly formed Brotherhood we saw at the end of First Class has already been disbanded and Magneto imprisoned. I did enjoy the use of Trask. It really worked for the story being told but, I also missed Kelly. I think he was underused and killed off too quickly in the first X-men movies. Kitty Pryde still has a lot do with saving the future but, she projects the consciousness of other mutants back in time, not hers. Enter: The Wolverine. Of course, we need him for this movie to be successful! That was my initial thought as well but, it was great to see The Wolverine from-old mixed with those that are left from First Class. I ended up enjoying that choice over Pryde. This was a period piece; but not as much as First Class. Once Wolverine wakes up in the 70’s, I got a big terminator vibe which lasted long enough for it not to be annoying. We, quickly, find Xavier and Beast alone in the mansion. As in the Brotherhood, Xavier’s X-Men, who started in FC, is also in shambles and Xavier is in a very Dark Knight Rises Bruce Wayne like depression. The classic, “I’m drinking my woes away, leave me alone!” kind of way. He is, also, walking and Beast is not blue. This is quickly explained by a serum that Beast created. Of course, the serum allows Xavier to walk but he loses the ability to use his X-Gene. After this, the movie changed for me. I was expecting to see a “get the band back together movie” but that didn’t happen, and honestly it was a bit refreshing. Wolverine enlists Quicksilver to help break Magneto out of prison, but this is all we see of him. This was his only part of the movie. Which was really disappointing. He ended up being one of my favorite characters in the film. Magneto, in Magneto fashion, turns on everyone shortly after joining up and it becomes a “how do we convince Mystique to do the right thing” story, while Magneto tries to kill her: His absolute way of stopping the Future events. If she dies, the future sentinels (which are powered by a technology learned from Mystique’s X-gene) can never be built. 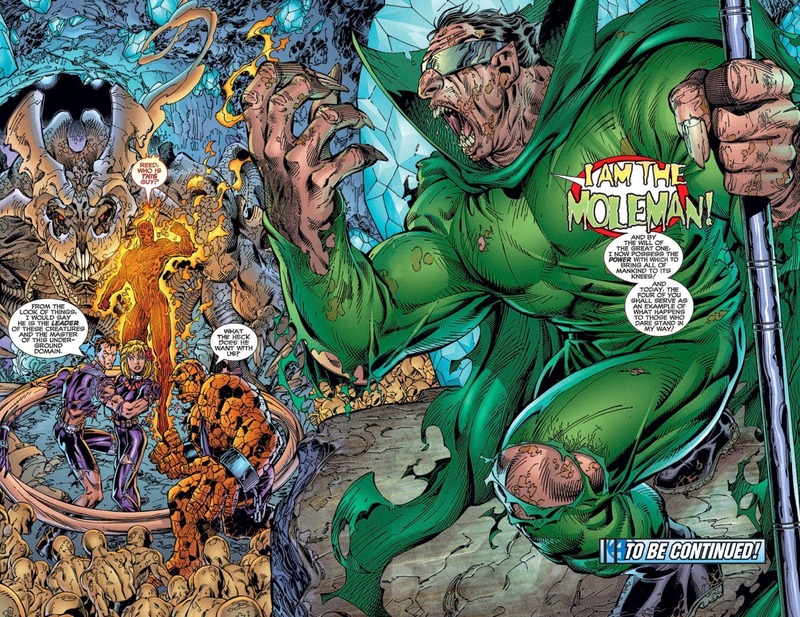 They are so devastating because they can learn mutants’ ability and use them in battle. The initial assassination was thwarted, but Mystique was still hell bent on revenge killing Trask. She learned about the death of many of the throw away mutants from First Class at his hands. I thought this to be understandable motivation. It worked for me. With the events that Trask avoided, this convinced the President to push forward his Six Sentinels that he’s already built, that Magneto takes control of simply by injecting metal into them. Trask built them with… well, I don’t remember, but not metal! The movie concludes with a gigantic fight on the lawn of the White House, and the future X-Men fighting the future sentinels. Unfortunately, the White House scenes where my least favorite parts of the movie. I was expecting a huge drag out fight with the Sentinels; instead, Magneto is in control of them using them against humans. This, to me, was more about character than action. Xavier has his powers back. He had a redemption talk with his older self through Wolverine to become the Xavier we all know and love. He’s using his new found old abilities on Mystique who, at the end, sees things his way. She stops Magneto and shows the world that Mutants really can be good! They allow Magneto to leave, which pondered me. He put out a message for other mutants to join him; so hopefully we will the see the development of that later. The final scenes were probably the best. Wolverine wakes up in the “new future” where some amazing cameos are made. The best being the return of James Marsden as Cyclops! This says to me, “Sorry about X-Men 3, we will try to do better”. The movie ends with a post credits scene of the upcoming Apocalypse movie which looked really cool. My final thoughts about the story soon, but first, my favorite mutants! I decided to add this because there really was some impressive new mutants in this movie. Her portal powers where used so well on her own and in unison with the other X-Men! It was a delight to watch. When I first saw this getup, I thought the same thing you probably did. WHAT A JOKE! How pleasantly surprised was I to find out that he actually stole the show. He was by far my favorite character in the movie. My only issue is that he wasn’t in more of it. But, honestly, if he was in the rest of the movie wouldn’t have needed to take place. With his power set, he could have easily completed the goals the other cast members struggled so hard with. I really, really hope we see more of him in future movies. There was even a backwards mention of Magneto being his father. Which is something I thought they were going to shy away from in this flick, but it seems they gave us a tease and are shelving it for another time. I thought it would be fun to do a quick “things I liked and didn’t like” section. The future scenes where great. The old cast actually had me reminiscing on the old movies and were, actually, put together really well. The new mutants where all unique and fun. Seeing Bishop, as well, was a delight. As I said before, Quicksilver was one of the best parts of the movie. I still think it sounds crazy when I say it out loud. The last ten minutes of the movie, when Wolverine wakes up and is in the new timeline, there was a sense of relief. Everyone is back. 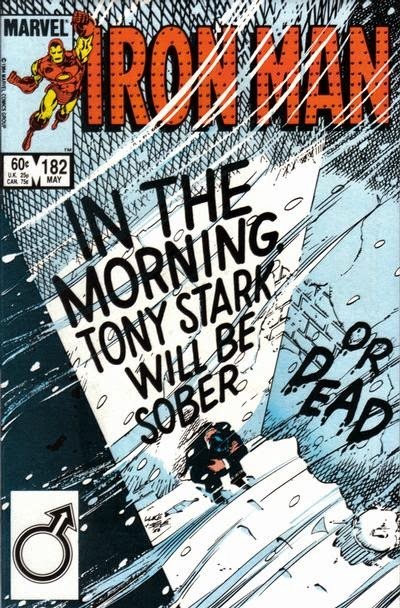 Everyone is fine; and we can finally look forward to something that won’t have anything to do with Last Stand. This may just me being nitpicky, but I just wasn’t into it. 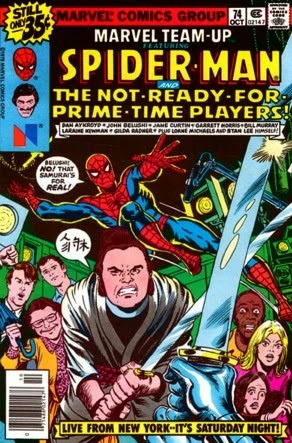 The final fight in the 70’s portion of the movie was kind of a miss for me, as well. I sort of expected an epic mutant/sentinel showdown (which we did get in the future portion of the movie), but that culminated with all the future mutants being destroyed. 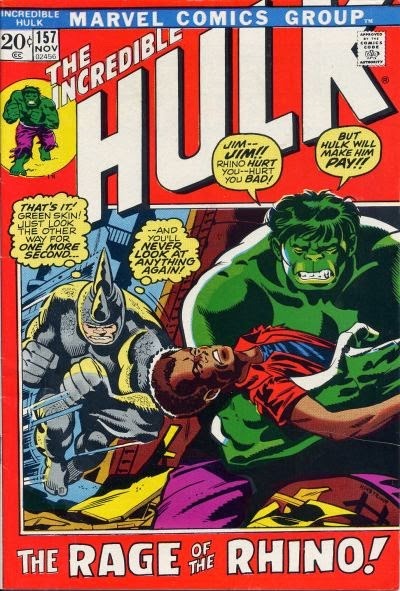 I have to be honest, though, my biggest let down from those scenes was Wolverine. 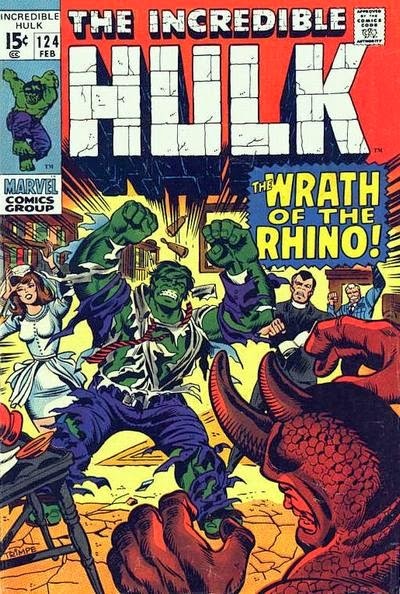 He doesn’t have his metal claws in the 70’s, so we have a bone-clawed Wolverine the entire time. So when it comes down to fighting the sentinels, he can’t cut through them. Which is something I was really looking forward to. In this Days of Future Past, wolverine centric movie, he doesn’t tear a sentinel apart with his claws. What? Days of Future Past is a step up from what we’ve seen in the past few iterations of the X- movies. I, almost, feel like a full reboot after First Class was planned, but then they decided to mix the universes and kept only the major Characters. This movie was a great way to erase the terrible that has come before it. There were some last stand flashbacks and this movie acted like Origins Wolverine never existed. As do most of us. I really liked this movie: I did not love it. My biggest let down was that Magneto was by himself. I do like the group of out- for- themselves mutants. Some people may take that as a plus, though. This was not the typical X-men movie. There was no one side of mutants VS the other. Just misguided Mystique and classic destroy- all- humans Magneto. It’s exciting to see where things go from here. The sky is the limit and I think that was the point. We have no idea what has happened in this new timeline. I’ll end with an analogy with the viewer’s being young Xavier and Fox being the old. Old Xavier, at one point, is able to communicate with young Xavier and asks him to hope again. And just like young Xavier, I am hoping again. Thank you Stevie for that excellent review! You can also find them on iTunes by searching for Nerds of the apocalypse. 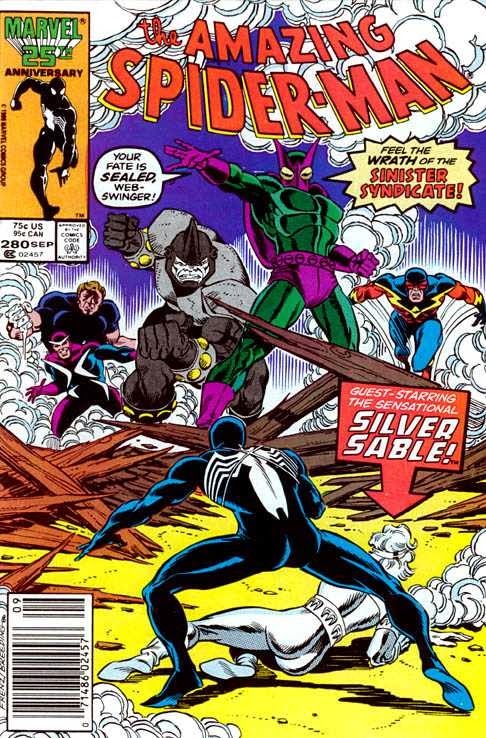 A Marvel Reboot - The Perfect Jumping Off Point? 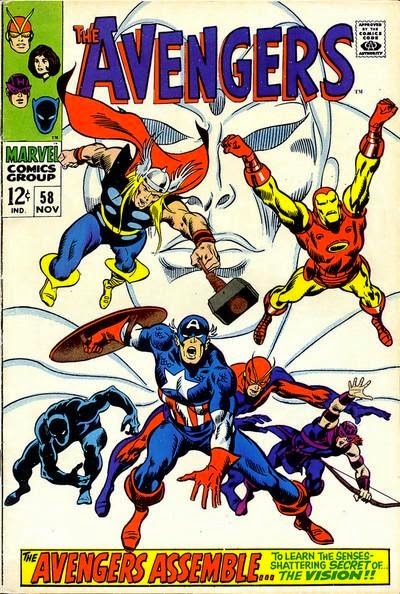 Last weeks news about unique ramifications from a Marvel Avengers event story in 2015 have started rumors that Marvel might engage in a complete reboot of their comics line. 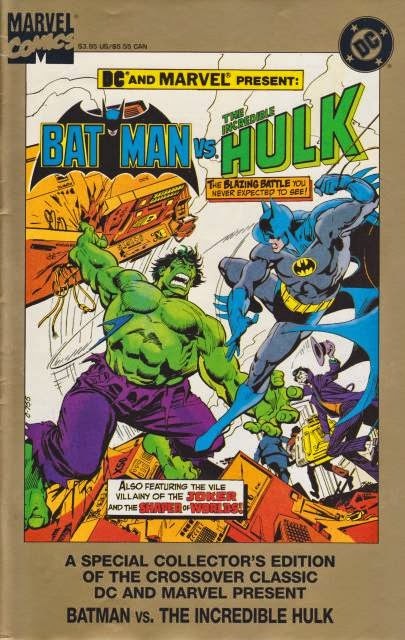 DC 52 Deja Viewers – these were people who feared Marvel’s attempt at a reboot would be as lackluster as DC’s. Yep. 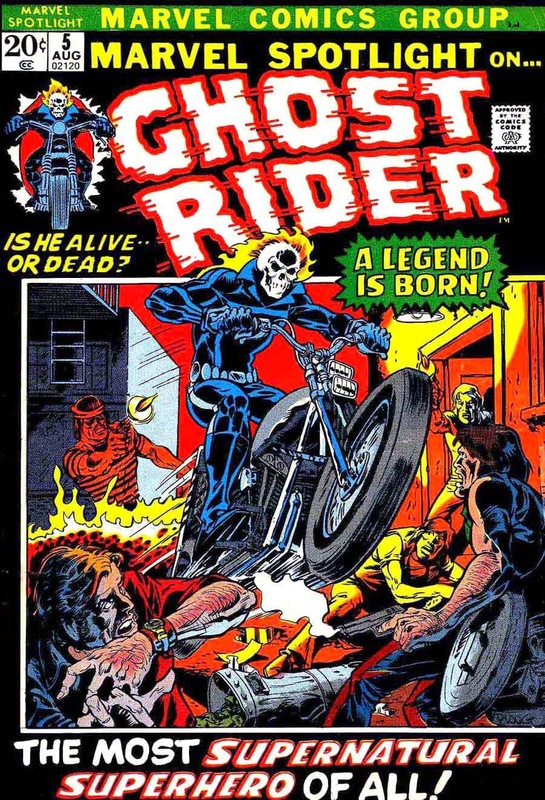 Full reboots are the perfect jumping off point, and a sign that a comic book company just needs to stop publishing and become just an IP farm for their large corporate parent. 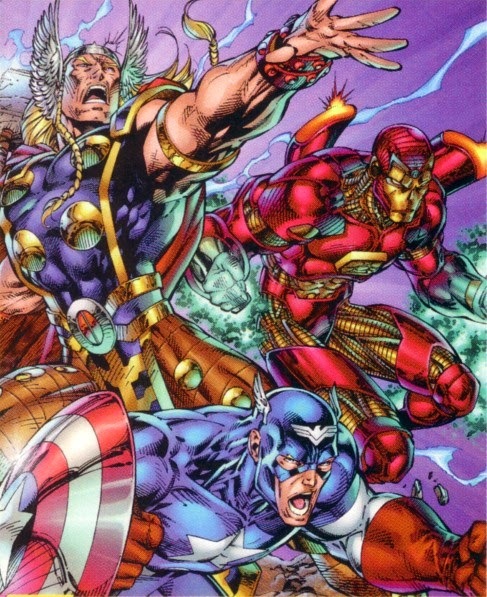 Ending series in about a year and restarting them again or adding diversity to the line-up has been Marvel's M.O. for a while now. That wouldn't be out of the ordinary at all. A full on reboot though? I can't say I expect that will happen. I would not be against a reboot. I used to be and I used to be one of those readers who knocked on DC for having events that were set up for cleaning their continuity. They would usually botch something serious to someone, like say, Hawkman's origin. I have felt that with the rather large number of time-related stories going on at Marvel that they may be gearing towards it. 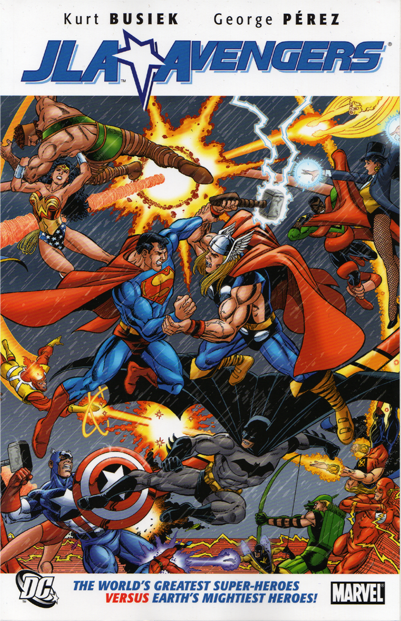 I feel like if Marvel did it, it would be handled a bit better than DC's New 52. The negative would be the large amount of new number 1's but they would not have the editorial issues that DC did and we would see some characters that normally don't get solo books get that shot. We would have too many X-Men and Avengers titles but that is the nature of the beast. What some people have forgotten is that Marvel has already had partial reboot in its history which is remembered as a major failure. I’m talking about Heroes Reborn. 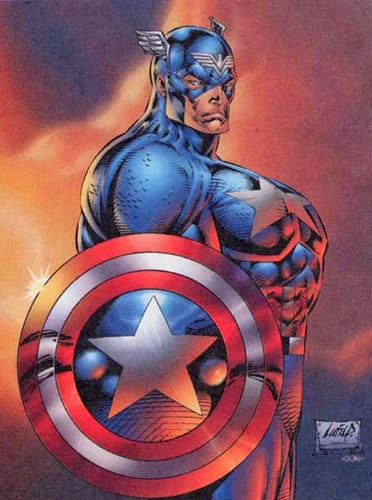 ..and at worst it brought us the most infamous Captain America image ever. 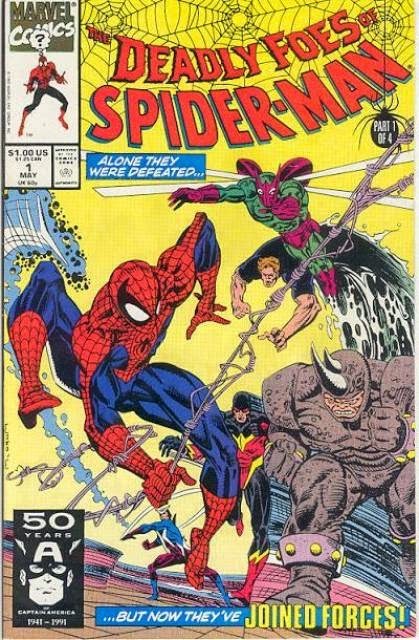 So, if Marvel were to actually reboot, how do I think it would be received? Hard to say. 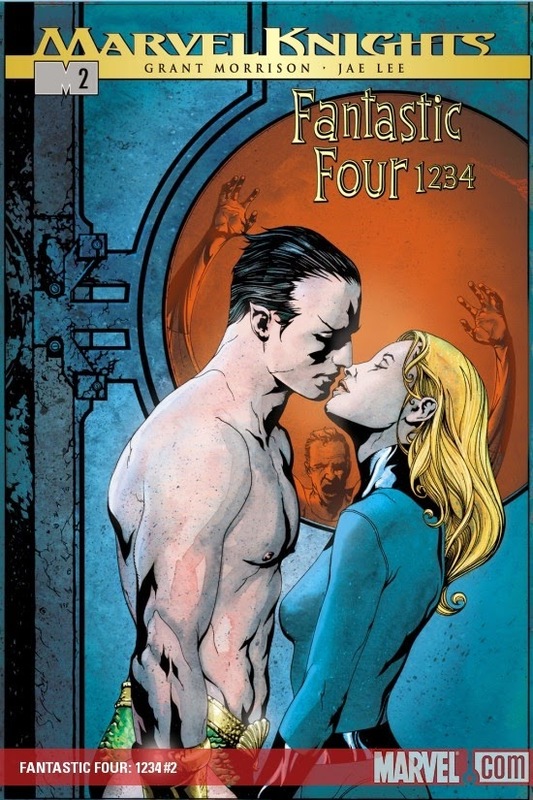 Sales wise, initially, the DC 52 reboot was quite successful. However, since then, there has been a lot of bitching and moaning about the quality of the DC line. Albeit, this has less to do with the fact the books have been rebooted and more to do with lax editorial, imo, but I do believe that because this new DC universe seems less official, fans are finding it easier to find fault with comics they would normally roll with. The Forgiveness Factor seems to be waning. 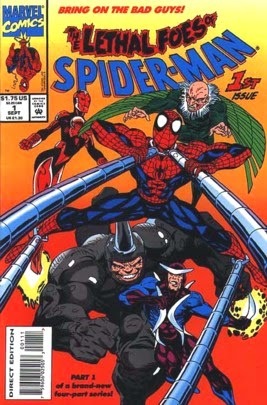 Still, it's hard for me to think that if Marvel were to do a linewide reboot that they wouldn't lose some fans. Comic fans tend to have an obsessive pride of their knowledge various universes - which is why they get so enraged when they think someone is discounting continuity. 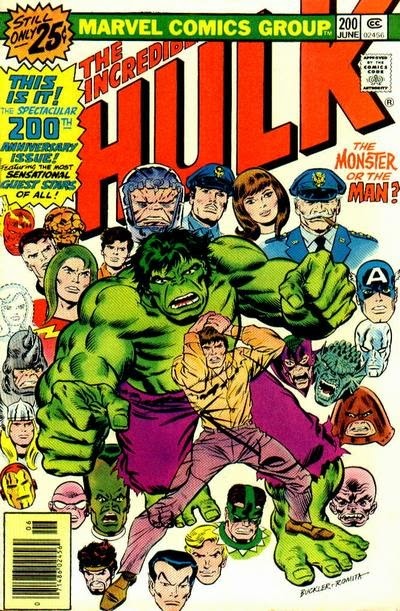 And while I sort of think Marvel has quietly waved away continuity a long time ago, an outright dismissal might be more than their fanbase could stand. 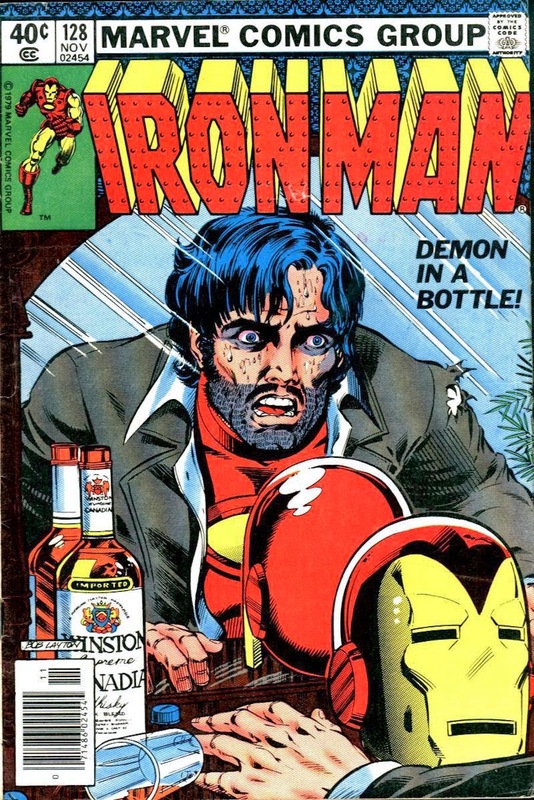 ...would you welcome a Marvel Reboot or would you use it as a time to jump off altogether? 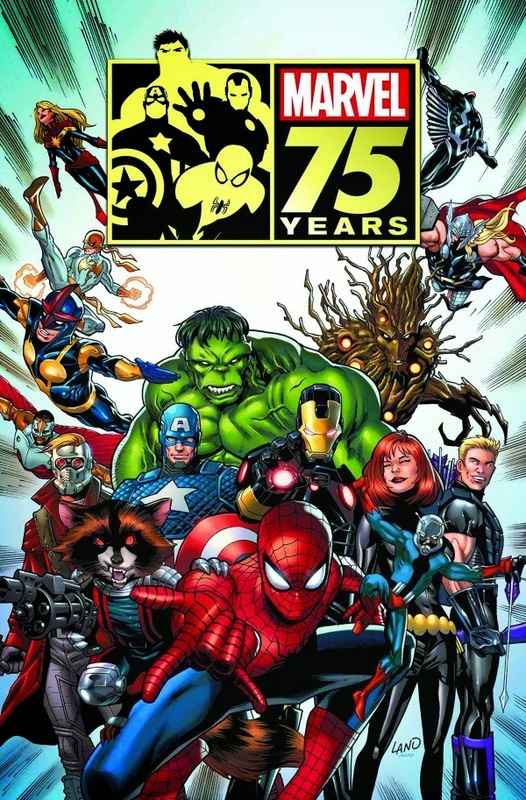 In a recent post I mentioned that Marvel is going to put out an 75th anniversary omnibus with their top 75 comics stories. I also mentioned I would try to guess/propose what I think might be in such an tome. That's my list. What would you add or take off? Is there a favorite of yours that's missing here? 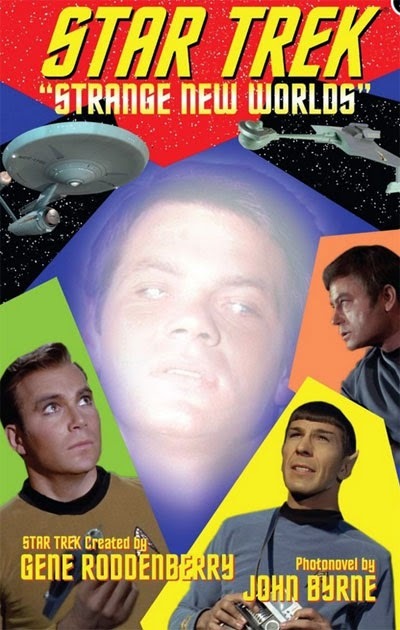 While I'm a big Star Trek TOS fan, I've only been lukewarm on the comic adaptations I've tried. 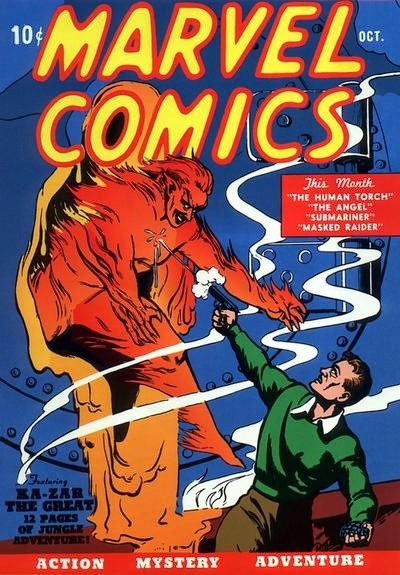 There have been one or two I've enjoyed, but more often than not, I find the comic book adaptations read more like a slow hard science fiction novel instead of a jaunty hour long adventure show. Also, sometimes the artwork suffers (unfairly) by comparison to the television version which can be distracting. By doing this, he creates a comic where the characters look exactly like the actors AND has the feel of a comic book (instead of a fumetti which I've always disliked.) The panel by panel feel gives you the pacing and camera angles you expect from a television show. 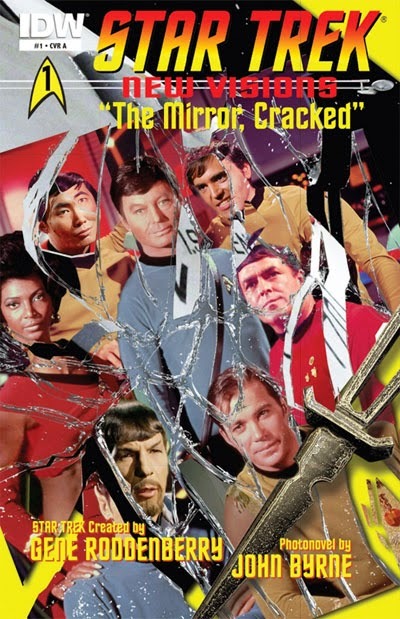 The Mirror Cracked is actually the second Byrne PhotoNovel. The first one came out late last year and featured a return to the Where No Man Has Gone Before storyline. And while the technique impressed me with that annual, the story didn't quite grabbed me. Still, I was quite taken with the potential of the format, so I was very eager to read The Mirror Cracked when it came out this week. 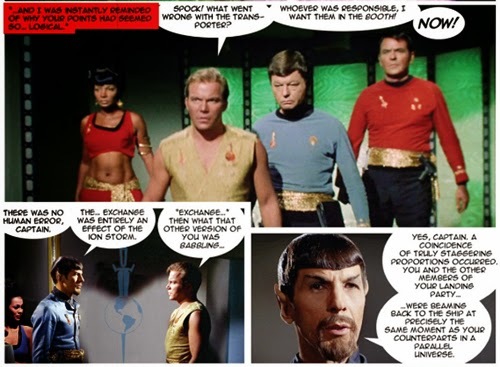 I don't want to give too much away, but this issue gives us another look at the Mirror, Mirror universe as Bearded Spock must journey to our universe to stop an alliance between evil Kirk and a Klingon Commander named Kor. 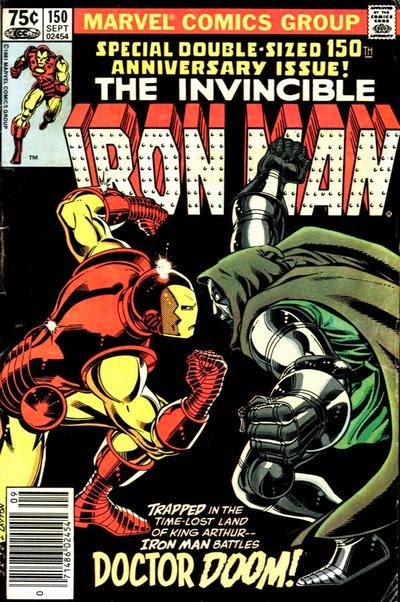 As you read the comic, it's hard not to be impressed with the effort Byrne has put into the artwork. I think I read somewhere that it actually takes him MORE time to do a comic this way than to draw it. What you might not notice is what a fine job he's done with the story and dialogue. Every character sounds pitch perfect and the story moves at a fast clip with several plot twists. The last page even had a vibe like the ending of Trouble of Tribbles which put a nice smile on my face. I highly recommend this comic if you are a fan of the old show! The Real Origin of Batman? 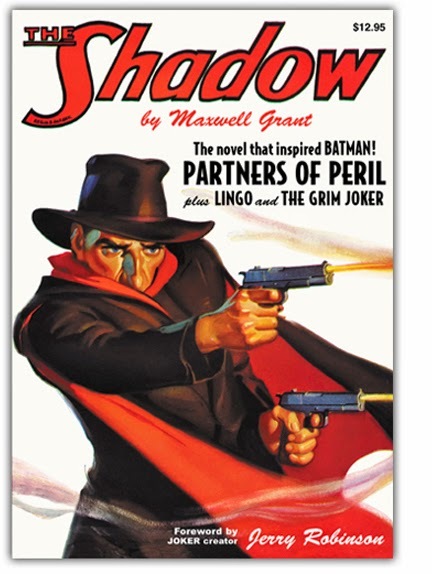 Considering the first Batman story was lifted in writing AND art from a specific issue of THE SHADOW, I'm thinking that maybe a couple other guys might deserve the credit. But, it shows that if Finger was the main writer on that first issue, he and Kane were working closely together in swiping. 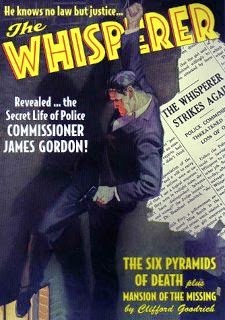 Commissioner James Gordon is the real name of the title character from THE WHISPERER whose nickname is that of another Bill Finger creation, Wildcat. 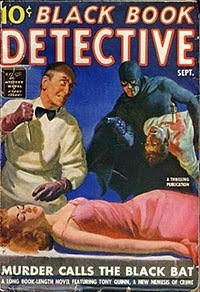 The story of Batman being inspired by being surprised by a wayward bat is almost identical to the origin of another pulp hero called The Bat. 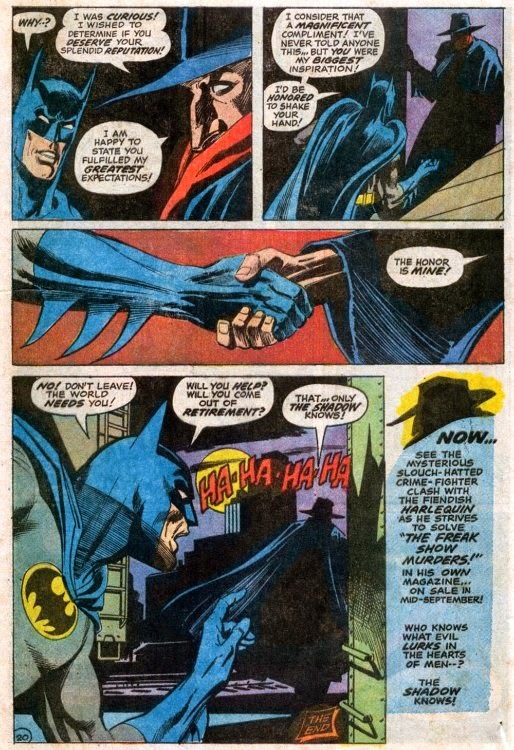 The origin of Two-Face is a direct lift of the origin of The Black Bat (as are Batman's finned gloves) despite the two companies almost suing each other over the near simultaneous publication of the first appearance of their respective heroes. 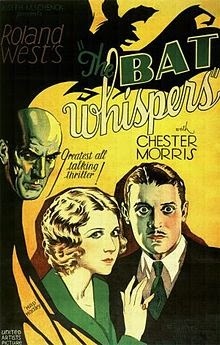 The Joker gas probably came from the 1919 Harry Houdini movie The Master Mystery by Arthur Reeve, a very chilling scene where some scientists are poisoned and laugh themselves to death. 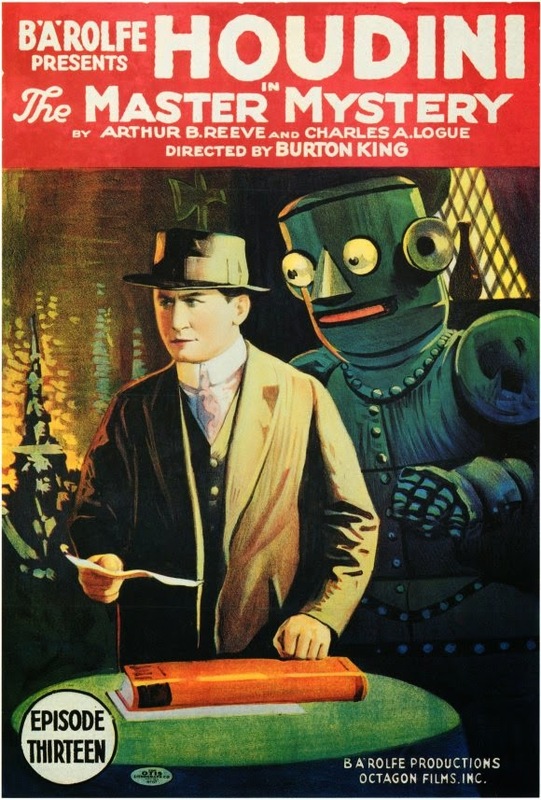 Also features an automaton, a literal man of steel also referred to as "a superman"
Notice how similar the title character's silhouette is to Batman's signature entrance. 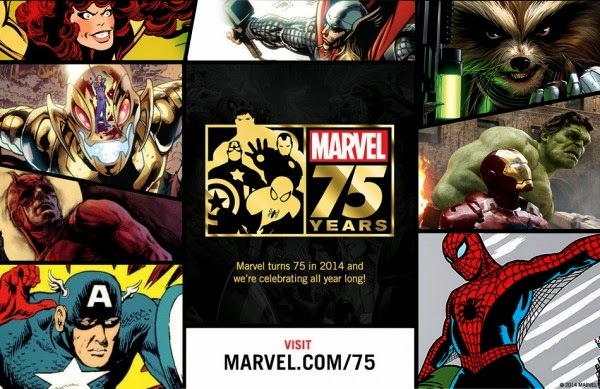 Marvel 75th Omnibus: What are the best stories? 1) If they are really going to let fans vote on this, I suspect this is going to include more modern era dross than is to my taste. The fact that the house ad has a image from Age of Ultron might end up being ominous foreshadowing. I bet will see something from the Civil War era. 2) The omnibus is going to run 1200 pages. At an average of 20 pages a piece, that gives you about 60 stories. The actual announcement on BleedingCool asks readers to submit 75 entries. That might actually be a hard list to fill out. 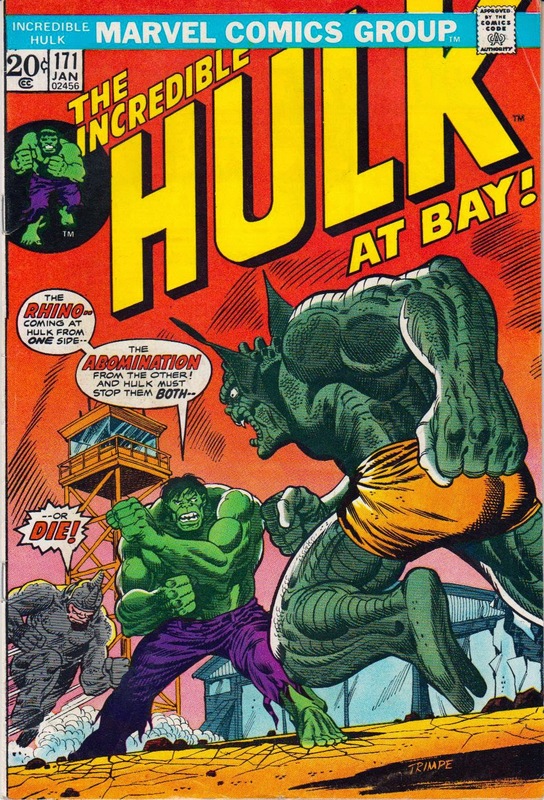 I consider myself to have a pretty good knowledge of Marvel comics and even I sort of wince at the idea of trying to come up with 75 stories. 3) How do you approach such a list? Do you try and build an even sampling from all the top tier/movie characters or do you not worry about that and just pull in anything? 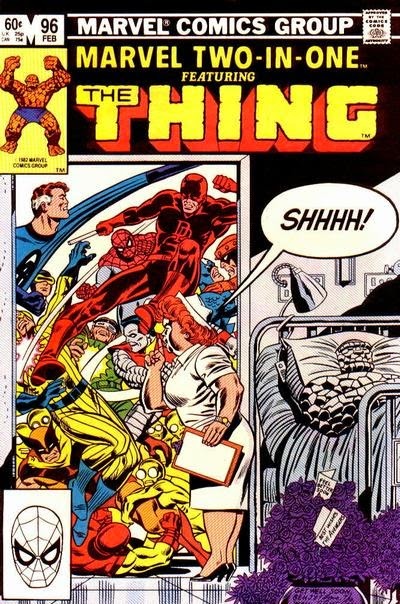 Howard the Duck, Man-thing, Tomb of Dracula should debatably have at least one issue in such a tome, but is that what we will get? 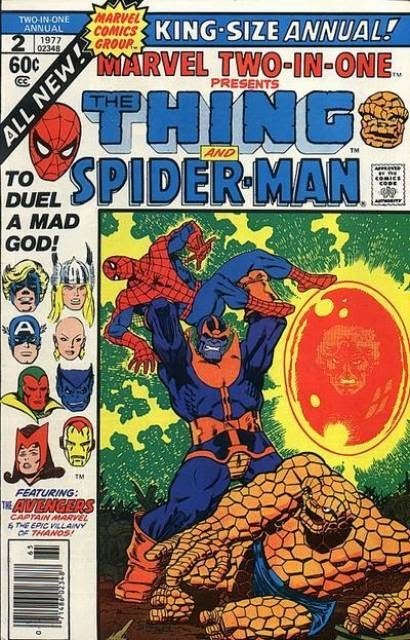 4) A lot of Marvel stories sort of work best as part of an epic storyline (like the first appearance of Galactus in Fantastic Four 48, 49 and 50) How will they handle that? To include complete arcs sort of robs you of 75 different stories. Still, thinking about it, it sounds like a fun challenge. I'll try to come up with my list and post it here next week. Does DC need to get lawyered up? 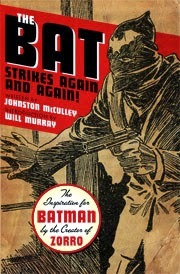 My grandfather has never been properly credited as the co-creator of Batman although was an open secret in the comic book industry and is widely known now. It is now my time to come out of the shadows and speak up and end 75 years of exploitation of my grandfather, whose biggest flaw was his inability to defend his extraordinary talent. Due to what I feel is continued mistreatment of a true artist, I am currently exploring our rights and considering how best to establish the recognition that my grandfather deserves. 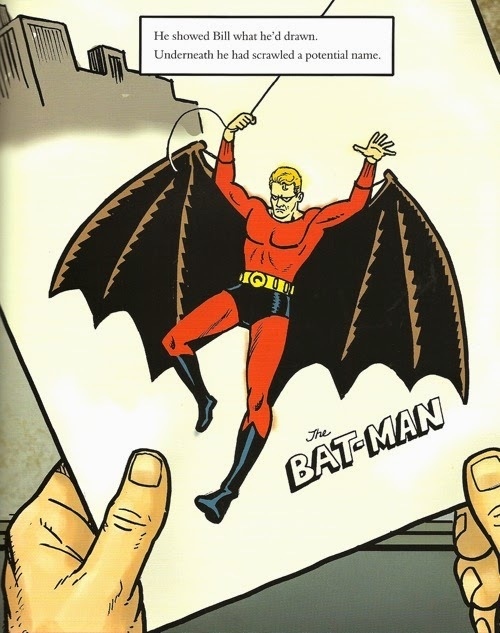 As you can see, pretty much everything we think of as the Batman mythos was created or co-created by Bill Finger. Yet, while DC is legally obligated to acknowledge Bob Kane as the a creator of Batman, Bill Finger never gets credit on any comics, movies or television shows. 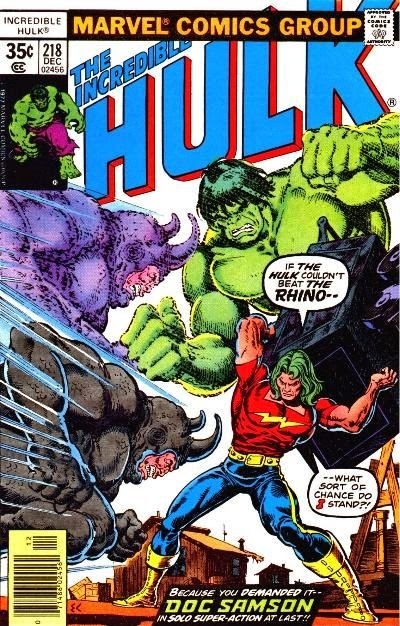 His next appearance wouldn't be until after the Bronze Age with issue 280. 3. So where was he during the Bronze Age? 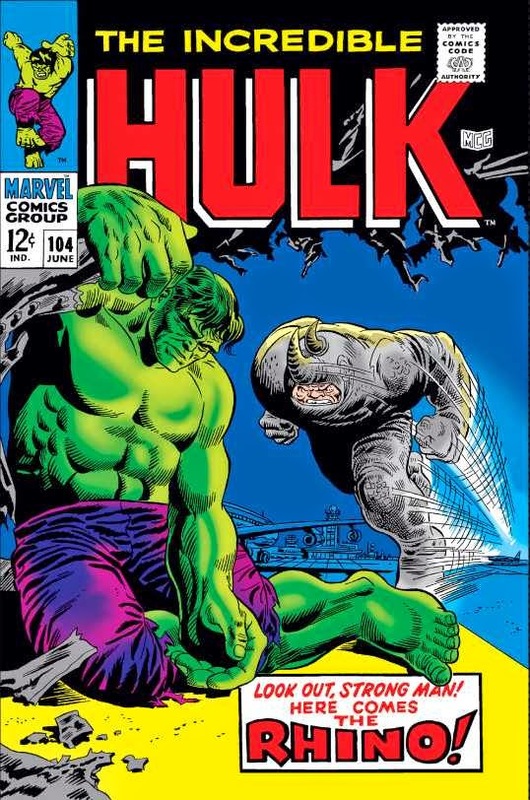 In the pages of The Incredible Hulk - where he showed up like clockwork every 2 years. Check out the regularity of his appearances in these issues below. 4. 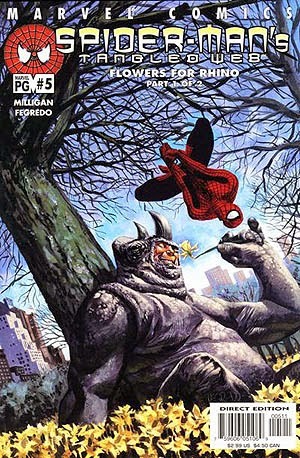 58% of his appearances in Amazing Spider-man took place after 2000. 51% of those have been since 2010. 5. 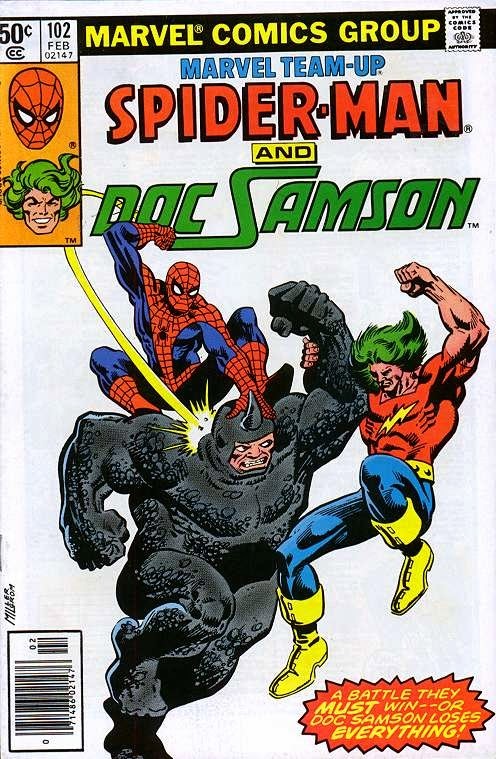 He only appeared in one issue each of Marvel Team-Up (102) and Marvel Two-In-One (98). 8. 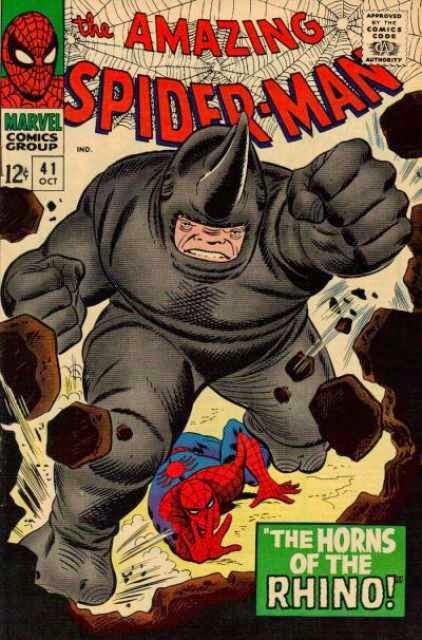 In a mini-series based off Daniel Keyes' Flowers for Algenon, The Rhino underwent a process to make himself smarter. 9. 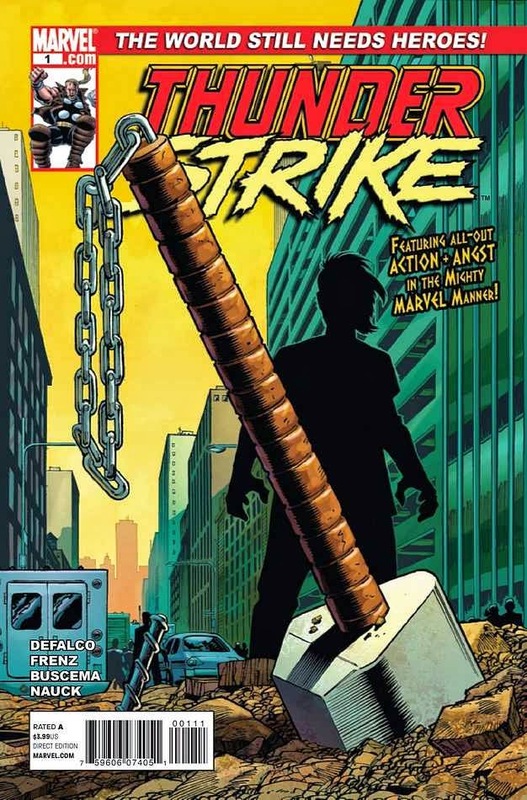 While he never showed up in the pages of Thor (which is sort of weird in of itself) he did show up in the pages of Thunderstrike. 10. Within the last few years, he reformed and got married. 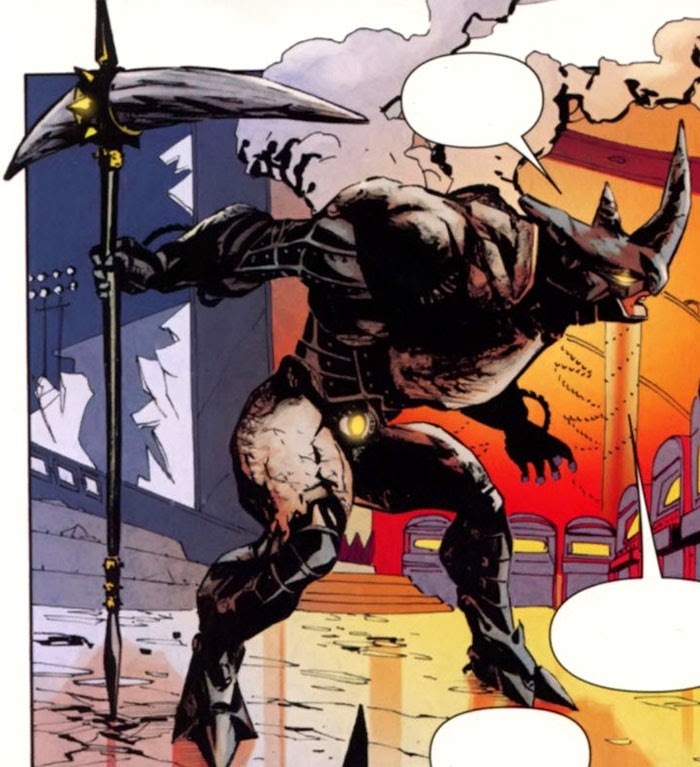 And while his last appearance had him getting killed, comics being what they are, I'm sure we will see the Sytsevich version of the character reappearing someday.